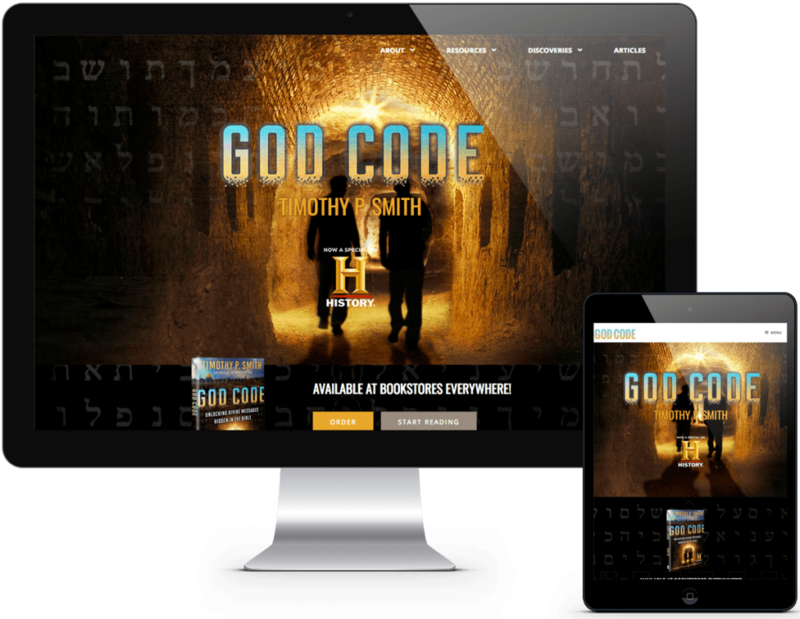 The God Code is the book, and now a History Channel special, written by Timothy Paul Smith, a thirty-five-year veteran of the art and antique appraisal and conservation profession. We were approached by Mr. Smith’s publisher to design a website that tied in closely with the cover art of the book itself. It was also important that Mr. Smith and his team be able to share all the resources available on this fascinating topic.